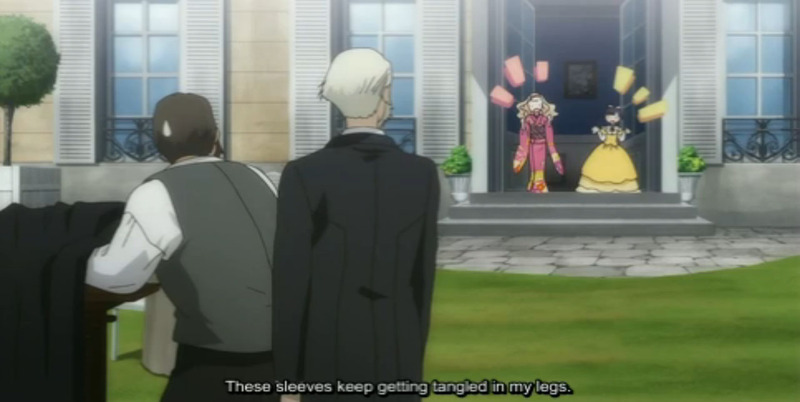 CLAUDE, WTF ARE YOU LOOKING AT? While Yune is trying to look for a bath, Alice Blaunche visits Enseignes du Roy to see Yune. 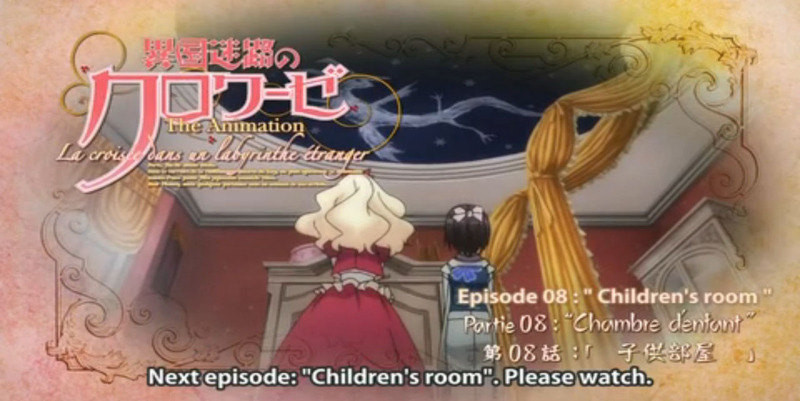 Though Claude protests, Yune decides to have a play day with Alice in her mansion and takes a bath there. Alice makes many tempting offers for Yune to stay with her. 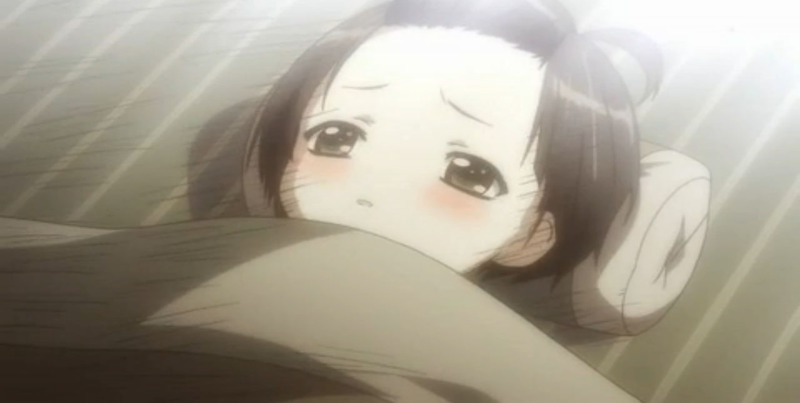 However, Yune rejects all of them for the promise she made to Claude, to trust him. Claude lectures Yune for being too nice to strangers. A kid steals from Enseignes du Roy and Yune chases after him. She loses the kid, gets lost, and is scared by Parisians. Eventually, Claude finds Yune. 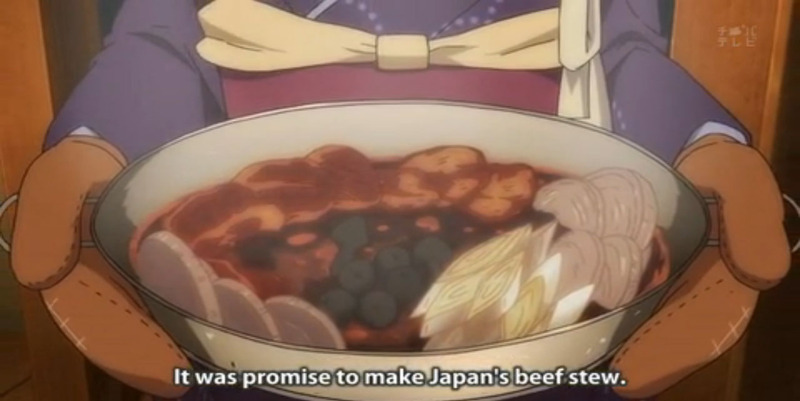 I want to slap Claude … HARD….IN THE FACE FOR NO EXPLAINABLE REASON. I’m impressed on how this anime is able to continue without much of a plot. They introduced Alice and the drama lasted for only one episode. Now Alice is probably gonna be used as a running gag from now on. Other than that, I’d be amused to see any other use for her other than helping out Yune once in a while. My death? Possible revealing of Camille and Claude’s history? 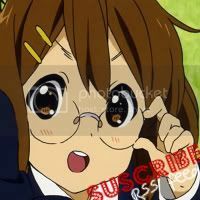 This entry was posted in 2011 - Summer and tagged alice blaunche, anime, Claude, crinoline, culture, drama, France, galerie du roy, historical, Ikoku Meiro no Croisee, Ikoku Meiro no Croisee Ep 4, Ikoku Meiro no Croisee Ep 5, Ikoku Meiro no Croisee Ep 6, Ikoku Meiro no Croisee Ep 7, Japan, lost child, Paris, review, romance, sakuraxxyume, summer anime 2011, the otaku's blog, water and lights, Yune. Bookmark the permalink.